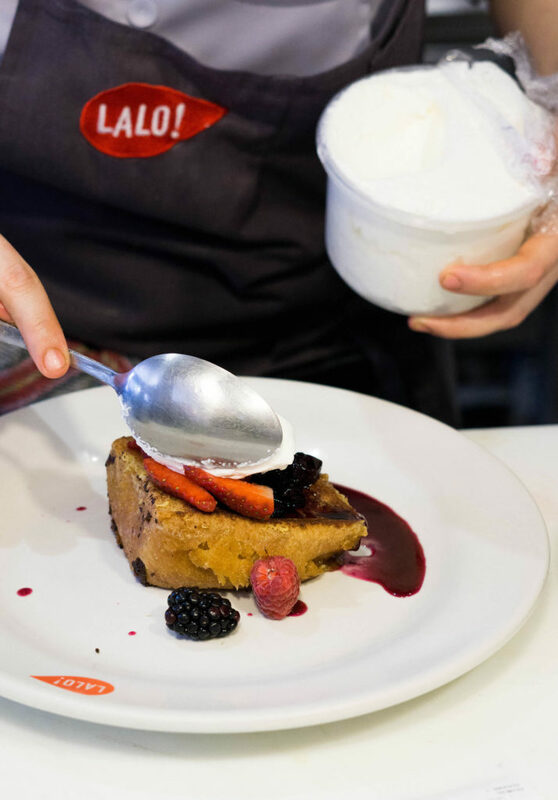 Now-a-days, pan francés (French toast) is commonly said in Mexico City’s culinary neighborhoods thanks to Chef Eduardo García, one of Mexico’s most creative and admired chefs, highly known for his product-focused philosophy. Lalo (Eduardo’s nickname in Spanish) grew up as a migrant worker in the US, he gained valuable kitchen experience from Chef Eric Ripert in New York and was deported back to Mexico on several occasions. Upon his last deportation, Eduardo came across an opportunity to work with Enrique Olvera as Chef de Cuisine at Pujol restaurant in Mexico City. Today, Lalo and his wife Gabriela own and operate three of the best restaurants in Mexico: Maximo Bistrot Local, Havre 77 and LALO! Three years ago, Garcia’s iconic pan francés was introduced at LALO! – the more casual concept of the group. 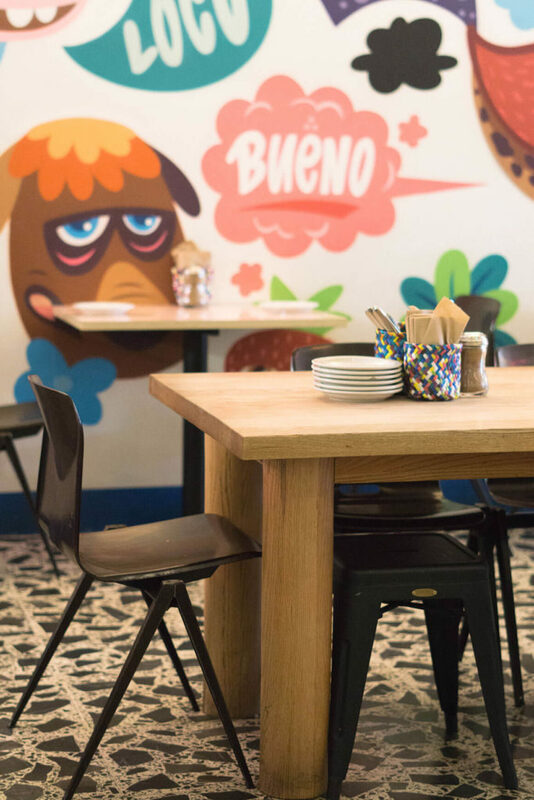 The first glance, walking into the restaurant, is of bright and colorful walls covered with graffiti by Belgian artist Bue The Warrior and a long communal wooden table filled with locals and foreigners alike. You’ll be able to spot lots of orders of pan francés on the table. A lot of Mexicans, including myself, will line up for up to an hour on weekends just to have a bite and satisfy the craving. 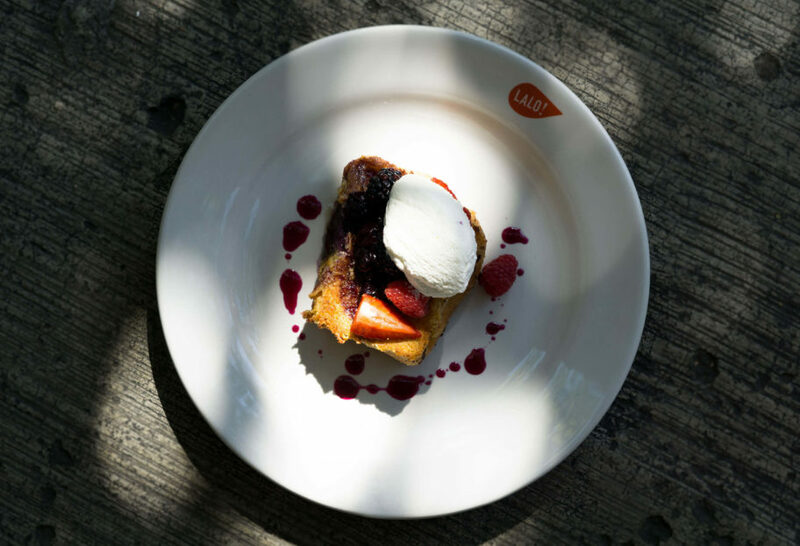 In fact, a lot of the restaurant’s hype and success is due to the large and thick slice of homemade brioche soaked in a vanilla-milk-egg-sugar mixture, fried in butter until crispy on the outside and topped with fresh whipped cream, mixed berries and blueberry compote. The most important component, what makes it so addictive, is the house-made brioche. Buttery, soft and moist, it took the team at LALO! time to perfect it. Despite all the mouth-watering breakfast options there are in Mexico, I make room for pan francés at least once a week. Usually on Sunday mornings, with a side of bacon and two fried eggs to accompany.